When she was diagnosed with HIV, Sameshni Moodley thought life as she knew it was over. Yet her positive attitude and healthy lifestyle turned things around. 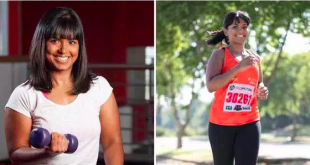 My name is Sameshni Moodley, aged 36, currently in the Corporate Insurance Industry and this is my story of being a better version of me.